If you’ve spent any amount of time optimizing your website with little to know change to your traffic and ROI, you may be wondering why your keywords are not converting. The answer is simple really…it’s because your target market isn’t searching for your keywords! Every morning over my coffee I read about what’s going on in the world of Search Engine Optimization (a.k.a. SEO). I come across blogs and information sites discussing seo tips from the basics to the advance. This morning I came across an article regarding seo keywords. Now if you are already at the stage of searching for an seo company you may already be aware of the importance of seo keywords, but you may not be aware that no one is searching for your keywords or at least not your target market, you know, the visitors that convert into a sales, are not searching for the keywords you have chosen to optimize your website for. We so often times think our keywords are simple, common sense – the first ones that pop into our heads when we think about our company, products or service we are trying to get out there.. Well, I hate to break to you, more often then not, they aren’t. For a simple search of let’s say “SEO consultant”, using keyword analysis programs and techniques, I can come up with about 1,000 other ways (keywords/keyphrases) one might type into the search engines to find the results they are looking for regarding “SEO Consultant”. Of course, not all will bring in the targeted traffic we are looking for, but I bet you didn’t realize there were 1,000 other ways one might search for such a phrase. As an SEO consultant, I can not tell you the number of times my clients have wanted to skip the keyword analysis phase (a.k.a. the most critical part of website optimization) of seo. So many people believe they know exactly what their customers and potential customers are searching for in the search engines. However, I would venture to say that 98% are wrong! I recently came across a great little analogy that sums it quite nice, it went something like this: ‘SEOing your website without analyzing your keywords is like trying to find a buried treasure without a map.’ You know the general vicinity of the treasure, you know you are close to finding it, but without the map you could dig for ages before actually finding it. 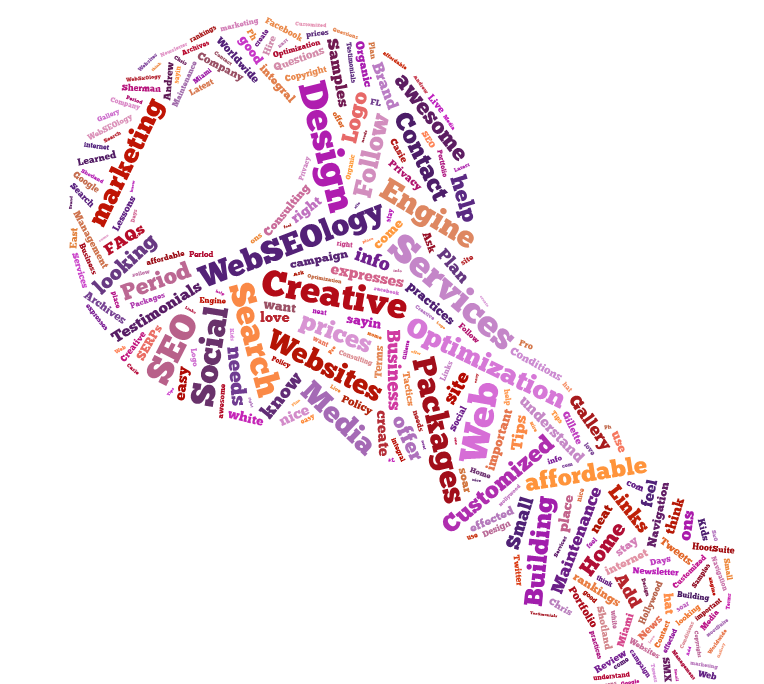 Not just keywords, but the RIGHT keywords are the cornerstone to effective SEO. Without them you will lose money and time on your efforts. Did you know that less than 30% of searchers type in one word keywords? Searchers are becoming much more search engine savvy. Hence the importance of the long-tail keyword or keyPHRASE. The more specific your key phrases are with your products or services your website offers, the more targeted your traffic will be, hence a positive effect on your conversations and ROI. This is for two reasons really. One, someone who is very precise in their search usually knows what they are looking for and doing more than just browsing the web. They are on a mission to find a product, service or information. If you are the website that ranks at the top for this long-tail, highly specific key phrase then guess what? If you are providing the solution to what the searcher is looking for, then they convert! Two, it is usually much easier to rank in the engines for a long tail key phrase then a single or double word keyword. while the long-tail keyphrase ‘Miami SEO Consulting’ populates 968,000. Granted it is still a lot and can therefor be narrowed further by adding additional keywords to the phrase but it is still quite a bit less than 615,000,000. As you can see, normally, the longer and the more precise your keyphrases are the more targeted your traffic will be, albeit the less visitors you will have, BUT there will be an increase in your conversion percentage and ROI. So, don’t skip out on hiring an experienced SEO consultant to analyze your keywords. From there you can do your own on-page and off-page SEO or have the consultant do it for you. Without this most important step you may very well have to start from scratch after months of waiting to rank well, putting you that much further beyond your competition and costing you more money in the long run.